I consider you have already read my blog post in which I have mentioned about the chrome extensions I use every day. MOZ chrome extension was in the list as well and you can see screenshot of the same out there in that post but now this extension is upgraded to a new look. The new upgraded MOZ extension for chrome is indeed great for all website/blog owners. It shows you almost every necessary details of your blog. I hope you have already installed the Moz extension in your chrome browser. If it is installed, you can see it where other extensions are showing. When it is ON and you open any website in your chrome browser you will see this tool’s preview as shown in screenshot. I have Opened Wikipedia.org and it is showing the details about it. I have marked it in red. If you perform a search query in Google.com then can see SERP overlay like shown in given screenshot below in which it shows the details of each search result. Note:I have marked each option as A, B, C in the screenshot below so that I can make it more readable to readers without any confusion. A – Page Analysis –It show all the information of page opened in the browser such as meta tags, H1, H2, URL, text and other details. It has different tabs, “On-page element”, “General Attributes”, “Inbound links”, “Mark up” and “HTTP Status”. After seeing the screenshot above you might have an idea as what this option is all about and what details it shows about the current page. This option states about the Meta information, canonical tag load time etc. which you can see in above screenshot. As the name says, it gives the information about the backlinks, Moz rank, and page authority as shown in above screenshot. This option shows authorship and other information as you can see in the above screenshot. However, On the wikipedia’s home page there is no authorship found so it shows like this. This option tells you if the page has been redirected from anywhere else or not. Current status of the page shows that it is not redirected but when you open a webpage that redirects to the final page, it will show the status code of redirection. This shows that the opened page was redirected from wikipedia.com and the redirection status is 301 means permanently moved. The colours are specified for the different options, as you click on the desired one it will mark those links with your selected option. Suppose if you turn on the Followed, then it will mark all the followed links on the page as Green. C – PA(Page Authority): This shows the page authority of the web page opened currently. PA is one of the metric of MOZ. Definition of PA by wikipedia: Page Authority is Moz’s calculated metric for how well a given webpage is likely to rank in Google.com’s search results. It is based off data from the Mozscape web index and includes link counts, MozRank, MozTrust, and dozens of other factors. D – mR(MozRank): This shows the Moz rank which is one of measures of MOZ. Definition of MozRank by Wikipedia: MozRank represents a link popularity score. It reflects the importance of any given web page on the Internet. Pages earn MozRank by the number and quality of other pages that link to them. The higher the quality of the incoming links, the higher the MozRank. E – Links: This shows how many backlinks that particular web page has. F – Root Domain: This tells the Domain authority of the website currently opened. No matter which page of the website is opened. This option always shows the root domain’s authority. Definition of DA by Wikipedia: Domain Authority (DA) is a website metric developed by Moz. It is one of the most important numbers known to SEOs. The greater your DA, the more likely you are to have strong traffic and high rank. G, H, I – Facebook, Twitter , Google Plus: This option shows how many times that particular webpage has been shared over FB, twitter and G+ respectively. J – Log in to analytics: This tells to log in on MoZ to check out full analytics. Then you can click on the links as per you need. That’s all from my side on this cool chrome extension with amazing look. I am in love with the new look of this extension and hence I started using it all the time. Hope you like this post. Share your views on this in comments! I want to hear your opinion. If you really like this write up then please do share on social media. How to Learn Coding Online for FREE? Beneficial post from you Atish. I’m not using this chrome extension, will add it now. Thanks for your detailed post with clear screen shots. Keep sharing your blogging experiences with us. Thanks for your visit Nirmala. This is a great extension from Moz. In this post you mentioned elaborately about moz rank. That make me grasp easily every aspects of moz rank. Nice chrome extension share. Thanks for the comment Di. I know I need to get on this one asap! Thanks for all your help. I am glad that you found it useful. Keep checking back here for more posts of this kind. :-). Let me know if you face any problem understanding this. Useful extension again with in-depth details about its feature. But I have a doubt, as a blogger I know the importance of PA, DA, Links etc. If I am using this tool to check my page then it’s okay I will come to know more about my page and can perform some action to do it better if required. But how it is beneficial for me when I check someone’s else blog post/page. What should I conclude which all this information and where can I implement it and how? Many times you would like to check out your competitor’s data, right? then this tool can be helpful however to see the backlink details in full you need to be a pro member of Moz but still this tool is worth checking out. Suppose you want to do guest posts on DA 30+ blog then what you will do? You will open some online DA checker tool and check one by one but when this extension is installed in your chrome browser, you can see DA of the site without any effort because as soon as you will open the site you will get the details. Thanks Shiv for coming by. “MOZ” is One of the Best & useful SEO tool ! I’m do use MOZ for SEO purpose! MOZ is also available Chrome Extension which also help in smoth ways. Thanks Monika for stopping by. That’s a great post and my first time to hear about this chrome extension, MOZ. I will definitely look into it and apply your step-by-step tutorial and start making use of it. Thanks Atish!! That was really awesome and valuable. Its been almost year you have been onto my blog. Thanks for reading the post and sharing your comment. Keep coming. This sounds pretty cool but Chrome keeps crashing on me so I had to finally lay it to rest. Yep, no one on their site was able to tell me why it’s happening so I just don’t use it anymore. Had to go back to FireFox but they don’t have the extensions or addons that Chrome does. Bummer really but what you going to do. Neat trick though, I have to admit darn it! Thanks for stopping by Adrienne. My chrome works fine! Firefox is great too. I use firefox when I work on CSS, firebug add-on helps me inspect elements easily and clearly. mozbar extension will be used to know domain authority for a website and page authority to a particular page in the blog.in this way we can say blog is a famous one or not .yhank for your article atish .right now i am using it and i am using the benefits of using. Nice and detailed tutorial on MOZ. This extension is really good to check your blog’s SEO status. Also, to check how your competitors are doing. I have this extension already but didn’t know all features of It. I usually use this extension to check DA and PA only. 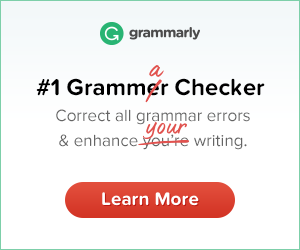 happy that you have learned to use this extension more effectively. Keep visiting.